Are you trying to pick the right security system? It can be a frustrating process, especially when you're busy with a new home, or a new arrival in the family. Don't be tempted to rush. It's more important than you may realize. Choosing the right system will set you up for years of peace of mind, with a huge range of benefits you may not expect. Choose badly, however, and you can leave yourself unprotected, or lumbered with an expensive inconvenience for years. To make the best choice, use this checklist of essential home security features. You'll encounter plenty of off-the-shelf home security devices with smartphone apps that alert you to activity at home. It's an exciting new way of staying connected to home, and also a bad approach to home security. You cannot be—and probably don't wish to be—"on call" around the clock, ready to respond to an emergency alert from your home. 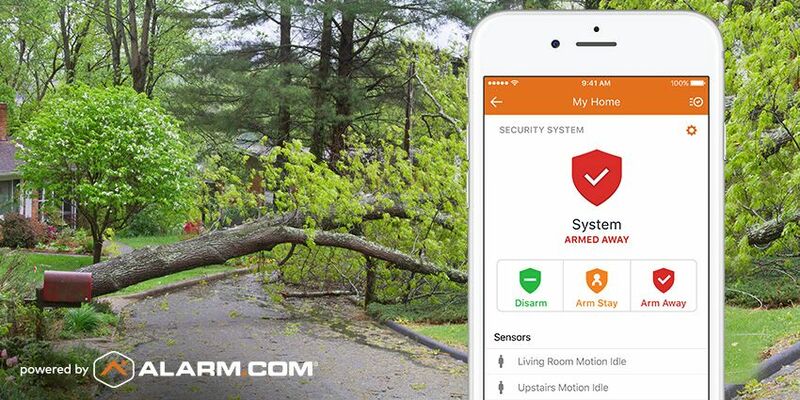 For real home security, professional security monitoring—included with all Alarm.com-powered systems—is essential. In an emergency, the system proactively alerts a 24-7 monitoring station, where security professionals are on hand—day and night—to contact your local police or fire department immediately. 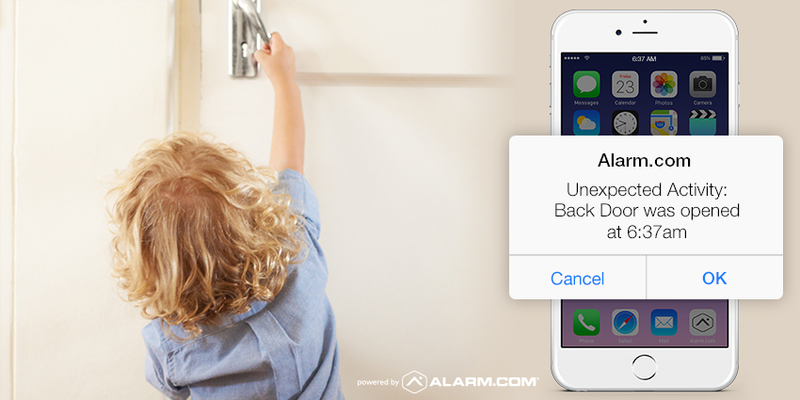 Don't get us wrong: smartphone alerts are great – especially Alarm.com alerts and reminders. With an ecosystem of security sensors, and a cloud ‘brain' to process the information they gather, our technology understands what's happening at home and whether you need to know about it. That way, you don't get swamped with alerts about everyday activity. 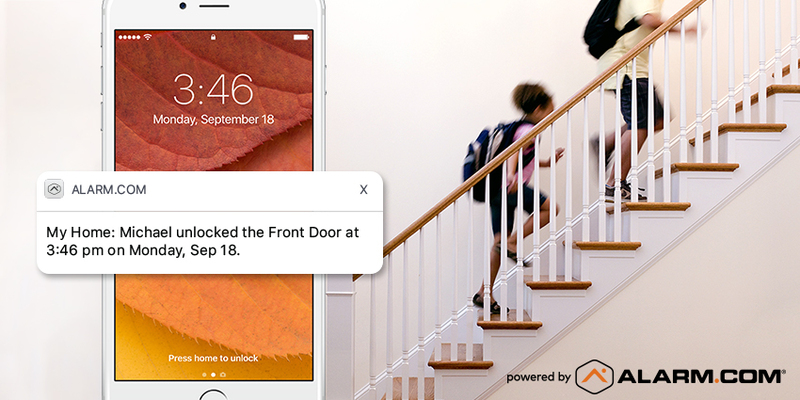 For example, if you want an alert when your son arrives home from school—but not every time someone opens your front door—you can create a ‘disarm' alert for your security system that only your son's four-digit user code can trigger. While old-fashioned security systems can inconvenience you, a modern system makes life easier. 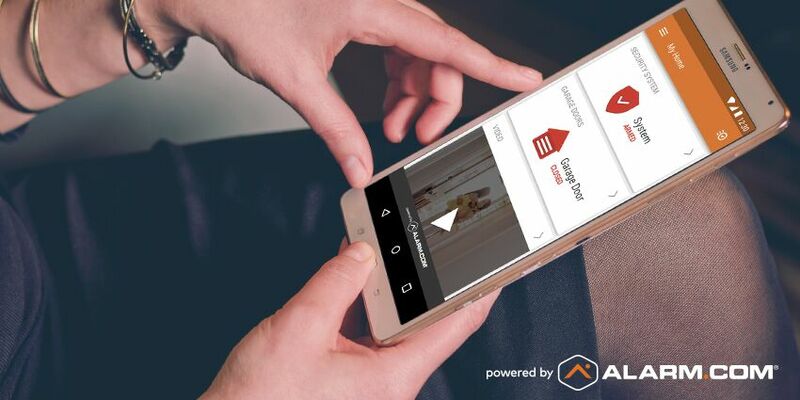 Look for features like smart access control. 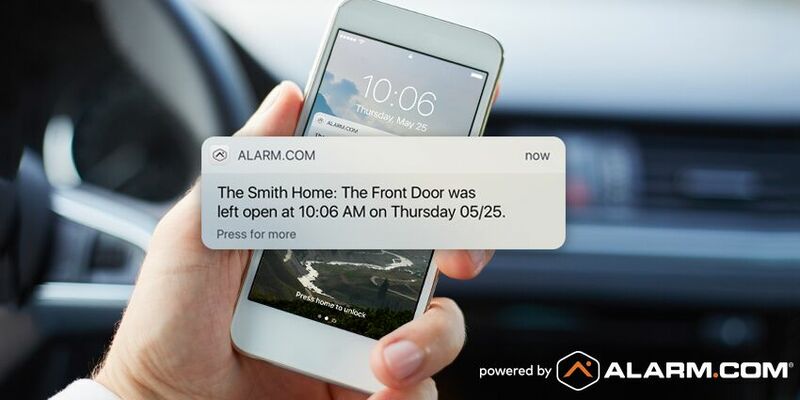 An Alarm.com-powered smart lock, connected to your system, makes it easy to let the right people in without compromising security. Your kids can have a permanent user code, while trusted visitors can have restricted user codes that only work between certain times, or which expire after a set time. No more keeping track of spare keys! You can also automate things for convenience. For example, you can have your system disarm and your hallway lights come on when you open your smart lock. You can even create an ‘arriving home' scene button in your app that does it all with one command. It's better to deter a crime than to solve one after the fact. The right security system makes your home a highly unattractive target to a burglar. 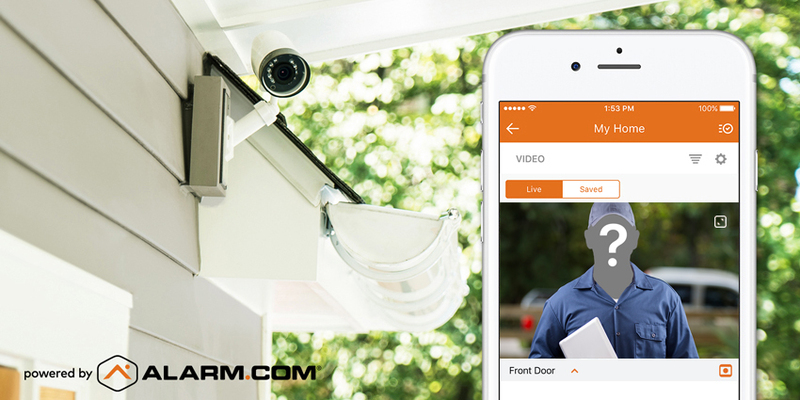 Look for a system that incorporates visible deterrents like outdoor security cameras and a doorbell camera. Most burglars check for security cameras and avoid homes that have them. Related: Do I need a security system if I have a dog? You can also include smart lighting on your front porch, programmed to turn on when the sun sets every day. It can also turn on when your doorbell camera detects motion, ensuring that after-dark intruders find themselves in the spotlight. The best security systems don't just protect you from crime: they protect your family from everyday dangers too. 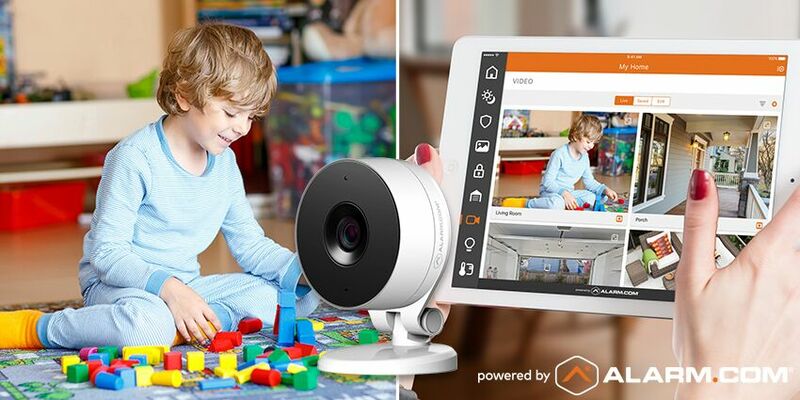 Contact sensors inside your home can give you early awareness when kids get into forbidden areas like the garage. Even if you don't set up alerts for these areas, Alarm.com can still protect you. Our Insights Engine learns activity patterns over time, and sends you Unexpected Activity alerts when unusual events occur. When assessing a security system, pay close attention to how it communicates and sends emergency signals. Some systems use phone lines, or piggyback on your home's broadband connection. These are vulnerable to a falling tree branch or a pair of wire-cutters. For better security, look for a system with a dedicated cellular connection and battery backup. This type of security system can signal for help even if your phone lines are down and your power is out. In fact, Alarm.com can even defeat an intruder who smashes the security panel. There's one more, very important reason why getting the right security system matters. Smart technology is fast becoming a must-have, and you'll soon want to upgrade your home. Alarm.com combines all of these devices into one harmonious system with everything working together, controlled through a single command center on your smartphone or computer screen. Not everyone knows it yet, but the right security system is your frustration-free shortcut to a smart home. Wondering where to get Alarm.com? 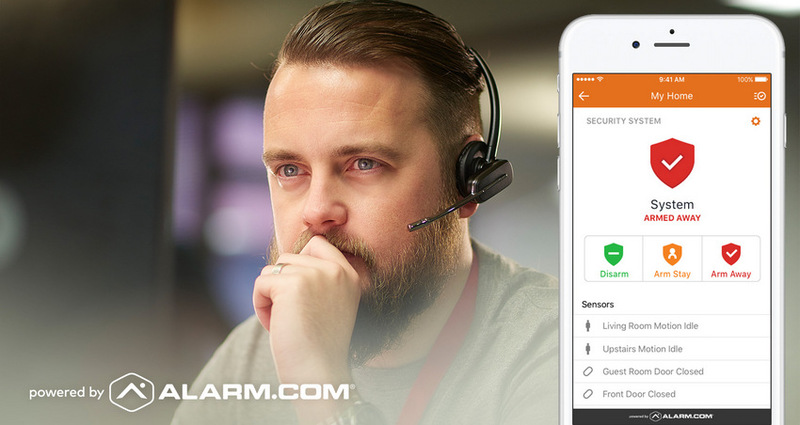 Trusted by millions of homeowners, Alarm.com technology is sold and supported by our huge network of service provider partners, typically home security dealers. To find out how to get Alarm.com, click here. To connect with a service provider in your area, just enter your ZIP code into the box below.